Learn about one of the greatest engineering feats as you cruise through the Panama Canal and visit neighboring ports. Read about the origins of Panama City, Mayan and colonial heritage and naturally beautiful landmarks. Cruise to the vibrant metropolis of Panama City, Panama, and immerse yourself in the local history and culture with Princess Cruises. Marvel at the awesome history of the Panama Canal and be transported back in time on a Panama Canal cruise with Princess. Uncover colonial history through Cartagena excursions from Princess Cruises. Prepare for relaxation with Panama Canal cruise tips. Read about immersing yourself in Central American culture, booking your cruise and the top ways to experience every port. Experience the Panama Canal in style and luxury with Princess Cruises. Thinking about crossing the Panama canal? Learn the difference between full and partial transit Panama Canal cruises from Princess Cruises. Explore deep into the Costa Rican rain forest with Limon excursions from Princess Cruises. 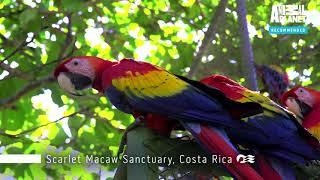 See beautiful flora and fauna on Costa Rica excursions. Enjoy fun in the sun at nine bays and 36 beaches during Huatulco excursions from Princess Cruises. Read about spotting sloths and toucans on hiking trails in the Veragua Rain Forest, riding on horseback through Jamaica’s cool waters and witnessing cliff diving in Acapulco. Find things to do in Antigua, Guatemala, while in port, from Princess Cruises. The best way to experience Guatemala is to start in Antigua's parks, museums and more. Spy legendary landmarks during San Francisco excursions on Princess Cruises. San Francisco shore excursions tour Alcatraz, the Golden Gate Bridge and more. Explore these beautiful and historic attractions on Cartagena shore excursions from Princess Cruises. A Panama Canal cruise is a thrilling adventure. 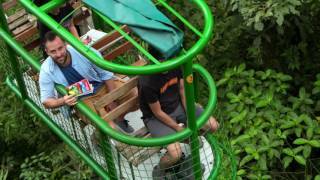 Find things to do in Limon, Costa Rica, on your Panama Canal cruise with Princess. Limon is a hub of exotic traditions and culture. Discover the rich cultural history of Maya civilization during Puerto Quetzal excursions from Princess Cruises. Find places to visit while in port at Panama City, Panama, from Princess Cruises. Experience what it's like to live in a bustling Central American metropolis. Explore a crown jewel of Central America during Princess Cruise's Panama City excursions. History and natural beauty combine in Panama Canal excursions.